This is our most comfortable bike and comes with all the bells and whistles, including four different adjustable computer programs! 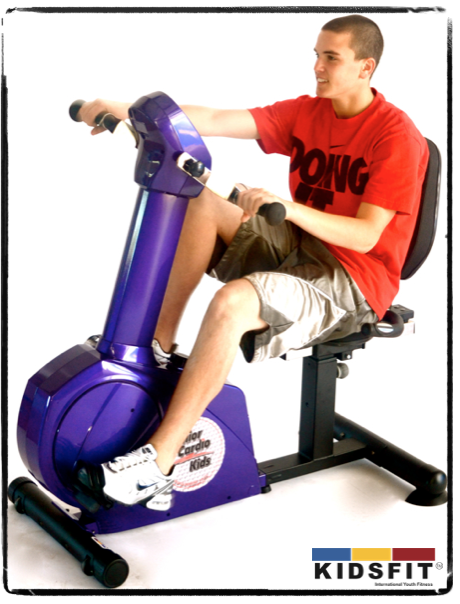 This fully recumbent exercise bike provides complete heart rate control, time, distance, speed, and computer programs that allow facility operators to keep children in a specific cardiovascular zone. The seat is adjustable, comes with wheels for portability, as well as an option to manually adjust the resistance.